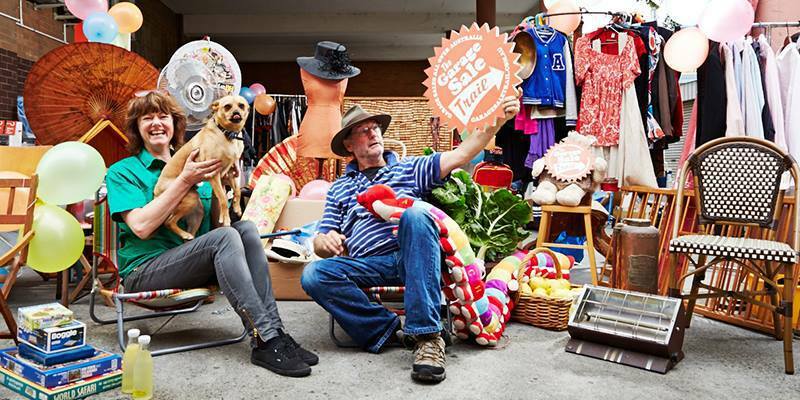 Saturday 22nd October is the biggest day for garage sale fans of the year across Australia. It's an impressive initiative that has been running since 2010 and has over 1000 sales already listed. "The day exists to do more than help people sell their unwanted stuff and hone the skills of bargain hunters. 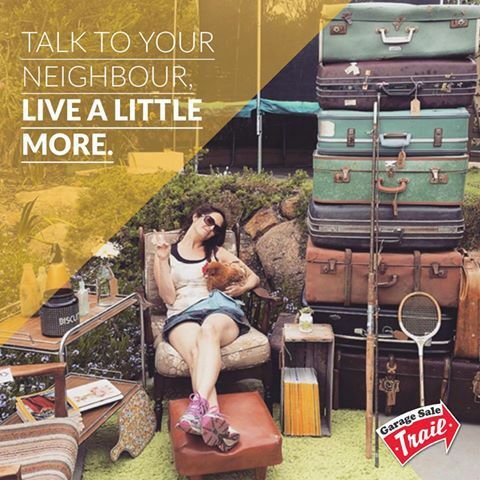 The simple act of buying and selling at a garage sale does a whole lot of 'good stuff' beyond making extra cash and finding treasure. It's a simple way to bring communities together, reuse and rethink the idea of what waste really is… while having an excuse to get dressed up, bake and barbeque." Reduce, Rueuse and Recycle... did I mention have fun too! I was lucky enough to be involved last year as a Victorian Ambassador; it was a dream for me as I've been a passionate fan of their vision since I discovered it. I helped assist at a local RSPCA garage sale and had lots of fun raising money for the charity. You need to decide if you're keen to either "shop the trail" or "host a sale". If you decide to host, check their website to see if your area qualifies and is eligible. 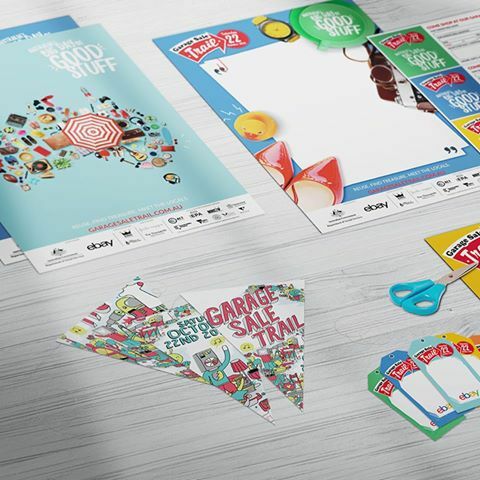 Once you're registered make sure you keep your event updated with some of the items you'll be selling on the day. Garage sale fans on the day can then add your sale to their map as they plan their day of treasure hunting. It's as easy as adding your postcode and seeing which sales pop up. I have 15 registered within 10km and there is still a month to go! 1. Get a good night's sleep and get up early, pack water and snacks. 5. Expect to see some familiar faces as you bump into shoppers also on the trail. 5. Consider dropping prices halfway through your sale if you want to declutter. 6. If anything is left please consider donating to a charity you love. It's a fun day, you meet people within your community and you help reduce, reuse and recycle. Why? Reduce, Reuse & Recycle! It's a great idea and a perfect time of the year to do it. Already as the Spring days get warmer I have seen an increase in garage sales in ou local area.